Sparco Seat - Competition Series - REV UNIVERSAL - Lesher Motorsports, Inc. The REV is a light-weight competition seat is that offers performance, safety and styling. 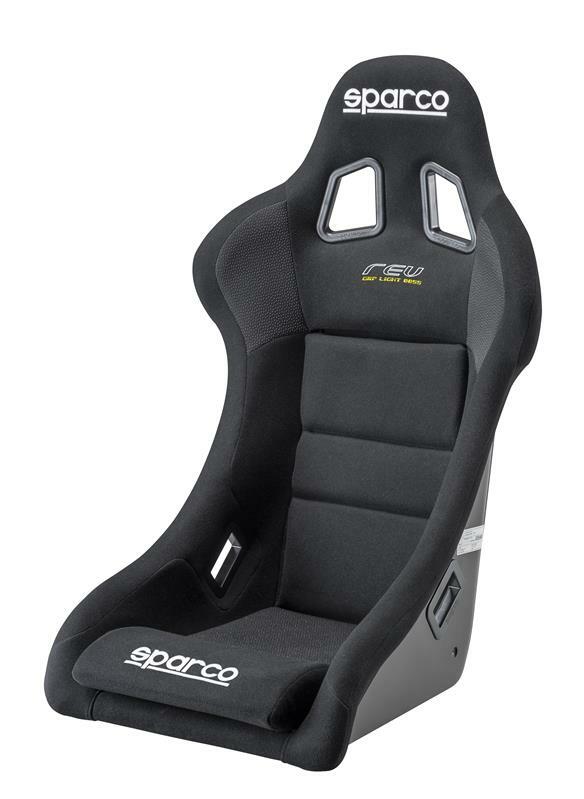 Evolved from the EVO seat, the Rev is designed for the smaller driver. Constructed with a special non-slip fabric in the shoulder and cushion, the Rev features silver harness slots and signature Sparco embroidery. The REV is FIA approved.